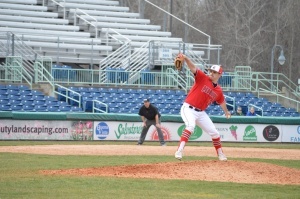 With the Youngstown State University baseball team (12-27, 6-13 Horizon League) having had quite the odd season, it has had many quality wins along with some terrible losses. Among those wins were a road win at No. 29-ranked Kent State University 11-6 on April 4. The other major win was against No. 17 Georgia Tech by a score of 12-3. This season, YSU has struggled to stay consistent but has always played as hard as can. Currently, YSU is on a two-game win streak. YSU started the season 1-11 which were all road games. YSU has played to a 11-16 record since. 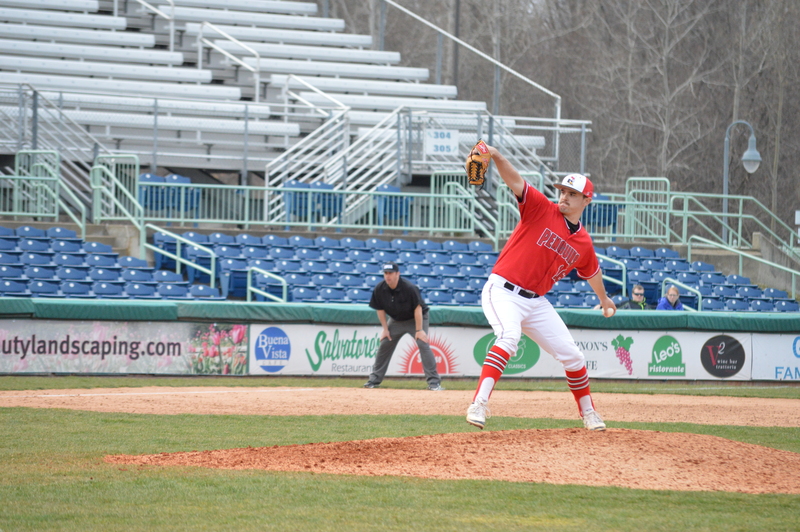 Joe King (16) throws a pitch in his first save of the year against Oakland University on March 25. YSU won 5-4. Bertolini believes that the team can put together a nice run to end the season. The Horizon League has seven teams and only six of them make the postseason tournament. YSU is in sixth place now, just 1.5 games ahead of the University of Wisconsin-Milwaukee. It is also a 1.5 games behind Valparaiso University for fifth place. 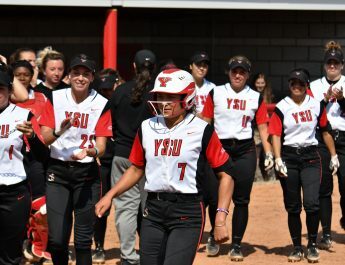 YSU gets to face Valpo for the next five games with a 3-game series at home on April 28-30 and then it goes on the road for April 5-6. YSU has a great chance to take over fifth place in the next week or so. Cordona also said that the team is really finding themselves and it is figuring out how to win together. These next 10 games or so are very important considering the No. 3 team, Northern Kentucky University, and the No. 7 seed, Milwaukee, are just five games apart in the standings. This season, King has appeared in 17 games. He posted a 2-5 record with a 5.27 earned run average in 42 and 2/3 innings. Cordona has played in 30 games. He’s batting .277 with five runs batted in and eight runs scored. Both players have been part of the way YSU has won. Bertolini said that other than a bad game against the University of Illinois-Chicago and Wright State University, the team has been super competitive in almost every game. YSU will look to make a push towards the postseason when it faces Valpo on April 28 in the Go4theGoal Children’s Cancer Game at 5 p.m.